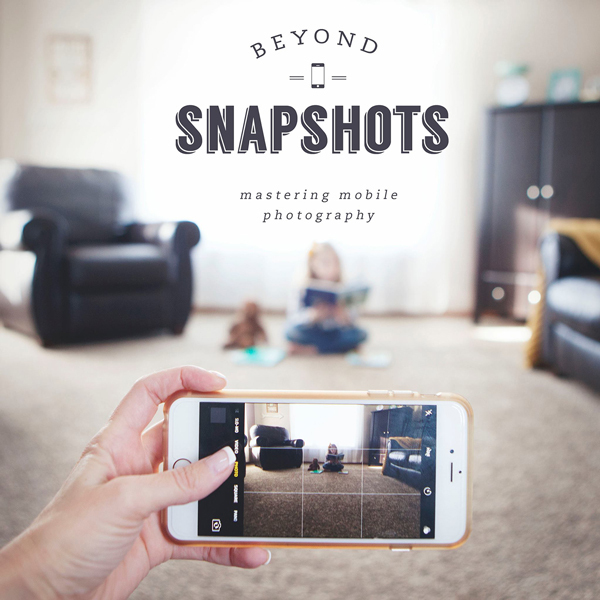 Feeling overwhelmed with a messy house, a cluttered room, or an out of control paper pile? Cleaning and homekeeping is a learned process. I’m guessing about 5-10% of the population actually enjoy cleaning (maybe less?). I’ve figured out a simpler way to keep your home clean in just a few minutes a day. I’m so excited to be here to talk a little bit about my cleaning routine with you today. Thanks for having me Rebecca! 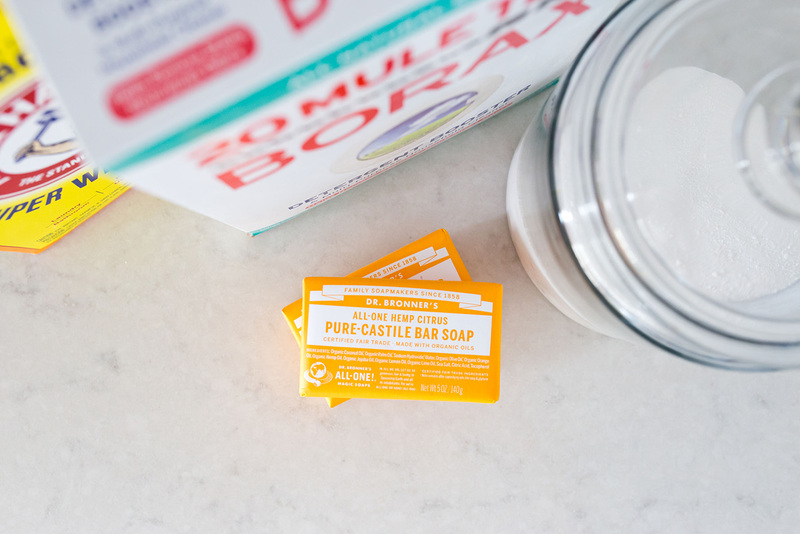 If you haven’t heard of me before, let me take a minute to introduce myself – my name is Becky, you might know me as Clean Mama, and I love to clean. In case you are skeptical of that statement, I have a website dedicated to simple cleaning methods and routines. Here’s the catch – I enjoy cleaning because I’ve figured out a simpler, easier way to get those mundane tasks done daily and in a hurry. What if I told you that you could spend just minutes a day on cleaning and homekeeping and you’d have a clean home all week long? Those mundane tasks like laundry and loading the dishwasher will become part of your repertoire and daily routine and you’ll become one of those people that welcome visitors and guests. Keeping a house clean and tidy comes naturally for me and I love the practice of homekeeping. My new book, Simply Clean details my cleaning routine, offers simple challenges that take you straight through my methods and routines, natural cleaning recipes and is full of helpful checklists designed to keep you on track and on task. If you’re feeling overwhelmed and don’t know where to start, forget everything you thought you knew about keeping a clean house. Realize that it’s perfectly normal to loathe or resent cleaning. This is because you’ve let it control your life and you’ve set it on a reactive mode instead of proactive and automatic. Let’s change that! A clean home (most of the time) starts with 5 daily cleaning tasks – these are things you learn to do that you set on autopilot and start completing without really thinking about it. You might already be doing these things – yay! Set the tone by making your bed daily. Teach your kids to make their beds and this job is even easier. I find that by keeping the bedding simple and it will instantly make your bedrooms look more put together and in reality it takes under a minute to complete. Most days I need to at least do a quick sweep of the hardwood floors on our first level. Sometimes I grab the vacuum cleaner and do a little touch up, but most of the time it’s just a quick once-over with my broom or a microfiber floor duster. My kids are in charge of crumb clean-up under the kitchen table with a little mini broom and dust pan. I wipe the kitchen counters after each meal and I check the bathroom counters daily and give them a quick wipe if they need it. Clutter can be toys on the floor, stacks of mail or papers to file, or just stuff that should be put away or tossed. Some things that work for us: toss any flyers or unnecessary mail at the door, open and file any bills that need to be paid, and bins and file folders in a filing cabinet for kid papers. In our house we toss (recycle) most worksheets and keep the special artwork and papers. Clutter is different for every person and family. If you have a big clutter problem you could use this item on your list to get some decluttering done every day. Make a list of all your little clutter areas and then every day spend 10-15 minutes knocking them off your list. For me, I use this time to sort through daily mail and papers. I need to deal with paper clutter every day to keep up with it and not let it get out of control. I do at least one load of laundry every.single.day. I know it sounds annoying and monotonous, but for me it’s the only way to stay on top of the potential piles and piles of laundry. What’s the key to making one load a day work? Actually starting AND finishing a load of laundry every day. Don’t let it pile up in a corner or on a table or couch or bed or outside the laundry room. Start and finish it. It’s a great process to master because you will have clean clothes at the ready at any time and you shouldn’t have to iron as often if the clothes are put away right away. If laundry every day sounds daunting, check out this post for more ideas on Laundry Day vs. Laundry Every Day. These tasks are the backbone of my cleaning routine. It’s a system that you need to work through to see why it works. It’s so simple but it works in just about every situation because it has grace (and a day to catch up) built right in to the routine. Monday is Bathrooms DAY. Here’s a post that shows how I approach the bathroom cleaning and speed clean 4 bathrooms in 15 minutes. Rule #1 for me with dusting is to only keep out things that we love and need. If it just collects dust, it’s not worth moving every week to dust under. Especially with little kids, I have a minimal amount of “stuff” on display just so I don’t have to worry about anything happening to it. Having uncluttered surfaces makes dusting so much easier. I wash floors on Thursdays because all the hard floors were vacuumed or swept on Wednesday. I designate Friday as my catch-all day. What does catch-all mean? Depending on the day and week, I use Fridays to get caught up on uncompleted tasks, menu planning, bill paying, laundry, a rotating cleaning task, or I just take the day off. I like going into the weekend with a clean house so I can soak up as much family time possible. Saturday is sheets and towels day. I find that doing a couple loads of sheets and towels on Saturdays helps in the laundry department. If everything works the way I want it to, I wash a load or two of white towels (I primarily have white towels because it simplifies the laundry) and one or two loads of sheets. I start right away in the morning and then by early afternoon clean sheets are on the beds and clean towels are folded and put away. It isn’t a non-stop Saturday of laundry, I just tend to the laundry when it needs to be switched from the washer to dryer and then from the dryer to folded and put away. 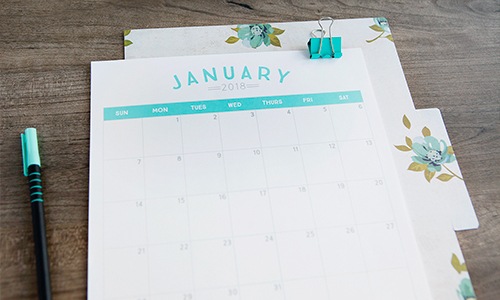 I also give away lots of fun and helpful free printables – I also have a free monthly cleaning calendar available every month that details my cleaning checklist and routine. Need a couple more cleaning tasks? You’ll find my rotating cleaning tasks on the free monthly calendar. 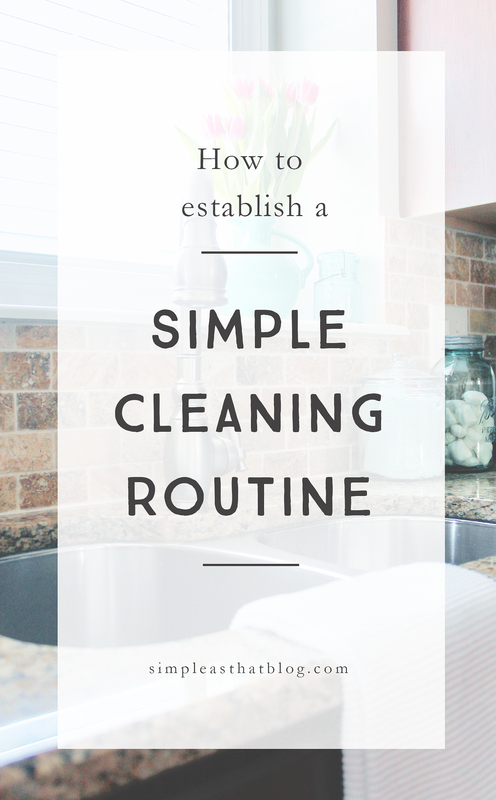 Grab this free printable of my cleaning routine here. Here’s my latest blog post. Never miss a post by signing up below for posts and my monthly newsletter straight to your inbox. You’ll see the box in my blog sidebar. 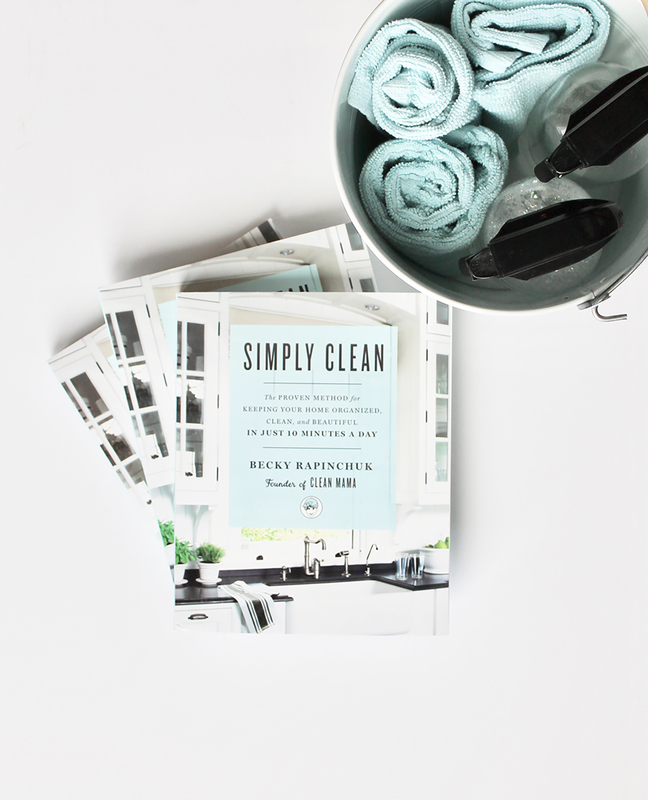 If you’re interested in finding new ways to clean more quickly and set your home on auto-pilot, I’d love it if you grabbed my book, Simply Clean. It will change the way you clean – in the best possible way! 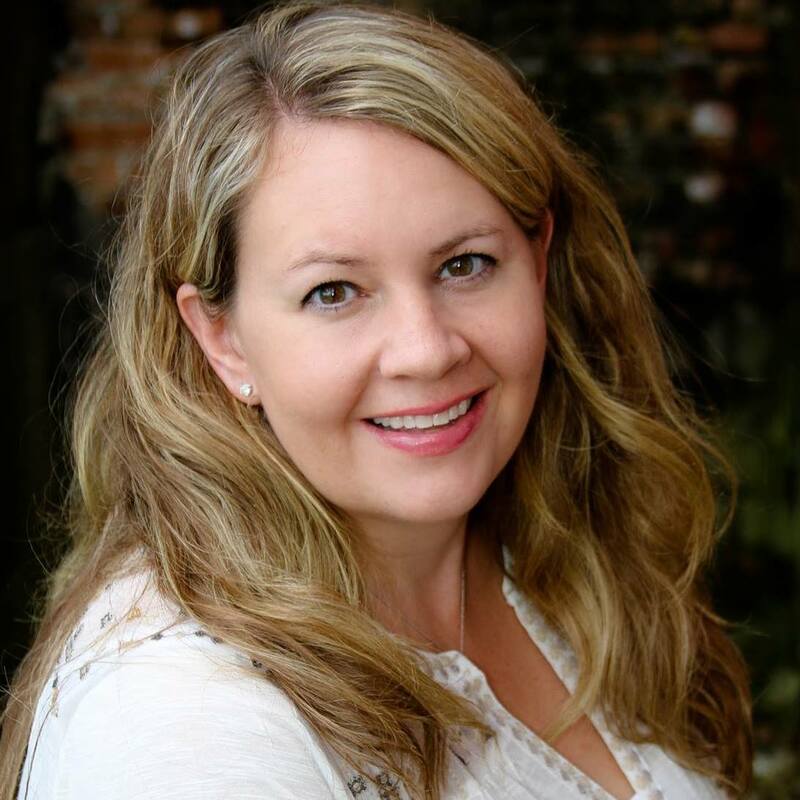 Becky Rapinchuk is a cleaning expert, a wife and mom to three, a successful entrepreneur, and a former art teacher. 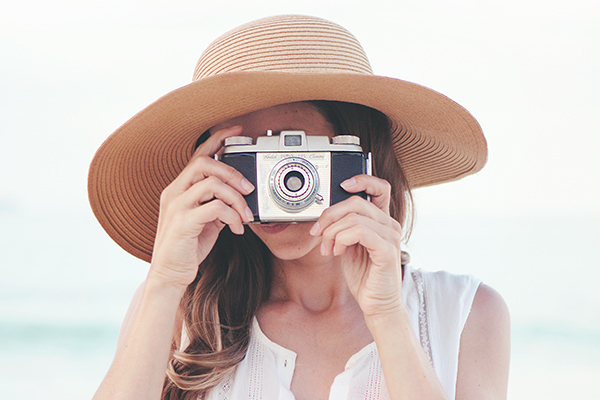 She’s the blogger behind Clean Mama, the leading online homekeeping community, and advises the world’s leading lifestyle brands—Martha Stewart, Real Simple, Better Homes & Gardens, SC Johnson, Bissell, and Scotch-Brite—on how to clean up life’s little and big messes. 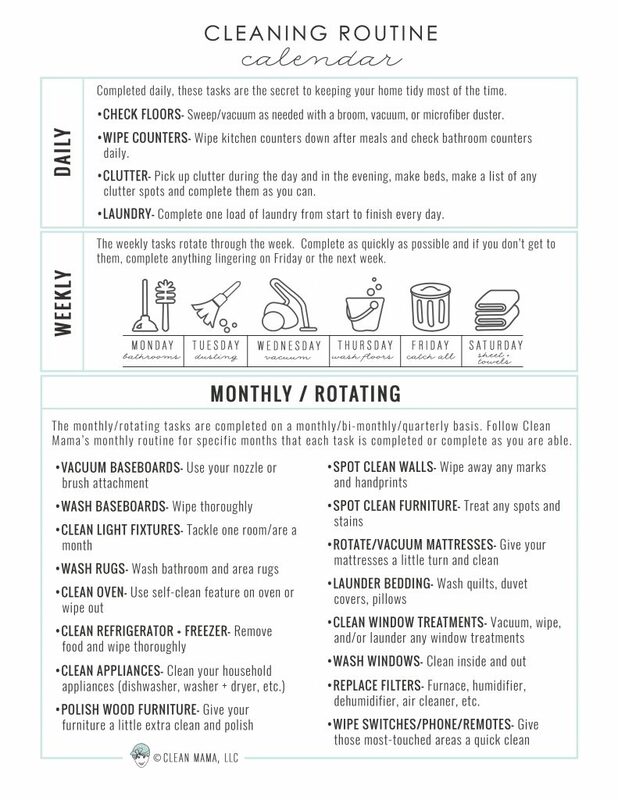 DO YOU HAVE A REVISED CLEANING SCHEDULE FOR SOMEONE WHO WORKS 10 HRS PER DAY OUTSIDE THE HOME?